“What was that fish?” is a common question heard after a dive. If you want to be the scuba diver with the answers, instead of the one asking the questions, then take the PADI Fish Identification Specialty course. You’ll enjoy your dives even more when you recognize the creatures that you see and can identify the main fish families and their characteristics. If you’re at least 10 years old and a PADI (Junior) Open Water Diver or higher, you can enroll in the PADI Fish Identification course. Stop by Seaweed Diver to enroll in the course and pick up your learning materials. You can also get one of the new ebooks for the area you will be diving by following the links below. This package is all the materials you will need for our Fish ID course in the Caribbean. Even if you are not taking the class get the most out of your next dive vacation with REEF's new, one-hour home-study DVD video presentation. The packet includes everything necessary to become a member of REEF and details on how to become a level 2 surveyor. There are now ebooks available if you would like to add an ebook to your library. 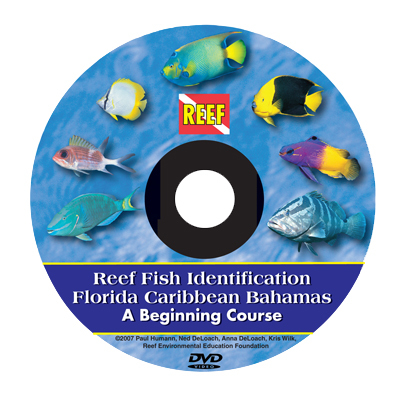 Five ebooks now available for purchase – REEF FISH Identification,REEF CREATURE Identification, REEF CORAL Identification – Florida, Caribbean, Bahamas and REEF FISH Identification, REEF CREATURE Identification – Tropical Pacific. PDF ebooks can be loaded into 6 different personal devices. Viewed on Adobe Digital Editions available for Mac OS, Windows OS, Mac iOS and Android devices. Beyond using basic scuba equipment, you’ll want a slate to record what you see and a fish identification card if available for your area. Your Seaweed Diver PADI Fish ID Instructor may suggest additional equipment or references depending on what you’re likely to see on your dives.